We offer a fully bespoke design service to all our clients. Allowing us to take a project from the initial concept and photography through to the final publication and to delivery of a printed item. Please feel free to contact us if you would like any further details. Working with in-house design teams or independently, our beautiful photographs can be used to create books, catalogues or brochures. We guide our clients in the choice of paper stocks, wibalin, foil blocking, binding and more, simplifying a potentially bewildering range of options. Where required, we are also able to oversee the printing of a publication. 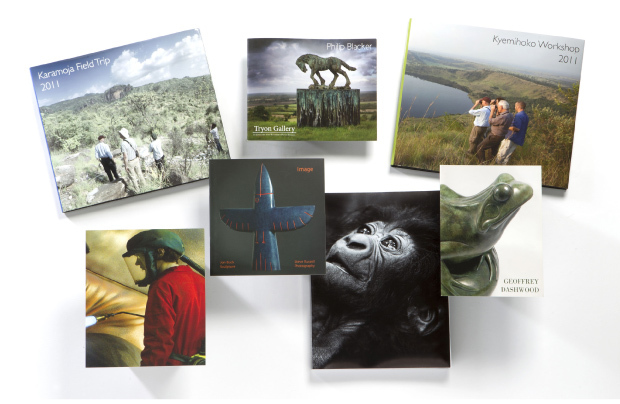 Our experience in the field and long-standing relationships with printers have resulted in many stunning books. Short print-run casebound books and soft cover catalogues can be printed within five working days. This gives our clients a valuable opportunity to showcase their work as soon as the making process is complete. A beautiful book can provide a historical documentation of a project or be used as an effective sales tool to invite additional commissions.